The key to the success of Surf Engineering is the added value of all the projects we carry out. Our professionals make possible that ideas become practical solutions thanks to their experience and their expertise; from the initial concept, and according to customer specifications, they are able to design, build and manage any challenge that is raised to them. We have an engineers and technical teams with wide experience, that allow him day in day out face new challenges with the maximum guarantees. These teams can work in our offices or displaced in the installations of the customer, providing the maximum flexibility in the realisation of the projects. Surf Engineering offers services that tailor the needs of each client, including the possibility of turnkey projects. Our company takes on responsability for all phases involved in the lifecycle of your product. Our experienced teams of stylists, designers and draughtsmen will face your projects with the maximum guarantees. They will give you support in your facilities with the aim of developing the design according to the initial specifications, reducing engineering processes and, in addition, your costs. Engineering services we offer are focused, mainly, on components design for automotive, railway and aerospace industries. We intervene in the complete management of projects, from concept definition to industrial implementation. Interior (consoles, doors, etc) and exterior (spoilers, windscreens, etc.) components. Lighting devices (lights, warnings, etc.). Electronic and electrical components (engines, windows, etc.). Interior (seats, toilets, etc.) and exterior (cabins, frontals, etc.) components. Structures (frames, cargo box, etc). Cooling circuits (for living room units and cabin units). Electrical and electronic components (electric power systems, equipments for transmission lines, etc.). Mechanical components (bogies, shock absorbers, etc.). Interior (cabins, toilets, etc.) and exterior (wings, landing gears, etc.) components. Structures with composite materials (wings ribs, primary and secondary parts, etc.). Engines (high and low pressure turbines, fireboxes, etc.). Electrical wiring and electronic components (electrical systems integration, equipments, etc.). Besides, within these three sectors we also carry out other projects such as control, welding and transport tools. High and low voltage engineering. Development of CAD libraries of PCB elements. Draft designs and feasibility studies. Management of electronic design projects. 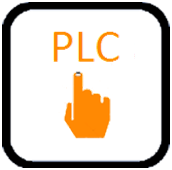 PLC programmable controllers services with different programming languages. In Surf Engineering count with a technical team experts that realises projects íntegres of architecture and building by means of the negotiations and technical and executive directions of works and installations. Our working method is based on collaborating with our clients by following their guidelines: initial proposals are presented, then the relevant corrections are made and, upon project’s approval, it is executed. The client will have information about his or her project at all times and with total transparency and, together with his or her team, we will take all the necessary decisions to carry it out. Our professionals are specialised in the methodology BIM ( Building Information Modeling). Of this shape can generate and gestionar the data during all the living cycle of the installation in simulating the constructive project. This process of virtual building with the methodology BIM, allow to visualise in three dimensions and in next to no time the project, which thing diminishes the loss of time and optimises resources in the design and in the building. the projects ‘as-built’ we carry out achieve since the geometry of the building, the space relations and the geographic information until the analysis of the quantities and of the properties of his components. Our team works using several programs of modelatge, to give service to architects, engineerings, constructors and promoters. In it porfolio of projects realised highlight the studies of constructive feasibility, the design of constructive systems industrialised for production in series, the generation of models BIM AsBuilt so much of structures, installations and of civil work like the preparation of drawings of manufacture and assembling for structures, envelopes and building industrialised. We have realised projects of architecture, engineering and building. In the process of conceptual design. Once CAD design is completed. Structural Design optimised for impacts. Reverse engineering is a process that consists in designing CAD geometry while leaning on a cloud of points obtained from a 3D digitalized. The final result will be a 3D CAD file created with ruled geometric entities. Our experienced professionals in reverse engineering makes us able to generate, with the maximum quality and speed, three-dimensional models created of the data from any digitized physical object. This service is used not only for optimizing manufactured processes but also for generating digital simulation and virtual fabrication through surface recovery, repairing of the data obtained by 3D digitalizations, modification of existing designs and, in addition, modelling 3D data. This service purpose is that our professionals are integrated into our clients’ team to lead a project in common. Thus, both will make decisions not only in the project implementation but also in its monitoring. On the other hand, our engineers and architects will provide them with a precise technical assistance which will reduce costs and meet delivery deadlines. Prior knowledge of the project’s risks. Definition of strategic plans to mitigate risks. Specialized counseling throughout the project. Objective control of project’s quality. We have a wide selection in IT services, which includes from design and architecture to management of technological infrastructures. In order to do so, we apply extensive quality processes both in the implementation and in the integral management of systems infrastructures, security and communications. Our IT Outsourcing services are personalized and their goal is making that each one of the computer systems adapts to the client’s needs, in this way providing him or her with an added value. This is achieved through our dedication, commitment and experience. 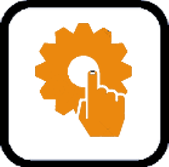 We automate your processes, always working with you, in order to optimize them both technically and economically. We work in various sectors, which allows us to have a wide perspective of the market’s different technologies. We develop your automation projects electrically. Our experience in automation and robotization allows us to perform engineering tasks by simplifying the final result. We program the main PLC of the market. Our experience is validated by a large number of installed and programmed robots. Besides, we have implemented cutting, welding, handling and painting robotic technologies in our costumers’ facilities. We monitor and control automation solutions with THE SCADA systems available on the market: SIEMENS, WONDERWARE and WIZCON. Before implementing your proceses at factory, we validate them using the most powerful virtual manufacturing tools (DELMIA, TECNOMATIX, CIMSTATION). We accompany you through the whole optimization of the lines that we develop. We also absorb your peaks of work with our experienced engineering team.